Today I found out about the largely forgotten colorful benevolent dictator of the United States and protector of Mexico, Emperor Norton I. His Imperial Majesty Joshua Abraham Norton I was born between 1811 and 1818 in England. Records of his birth date vary considerably, but it’s likely that the latter date is the correct one. His family immigrated to South Africa when he was quite young, where his father headed a small Jewish community. As a young man, he initially attempted to run his own business in Cape Town but quickly went bankrupt and started working at his father’s ship chandlery instead. By 1848, Emperor Norton had suffered some severe losses: his mother, father, and both of his brothers had died. With no other family, Norton inherited all $40,000 of his father’s estate and was eager to search for a new beginning. The lure of the American Dream, and the Gold Rush in particular, drew Norton to San Francisco. He was eager to find his fortunes, though he wasn’t interested in mining the gold fields; instead, he started a successful merchant business and rented out space on a ship he’d purchased for storage. Just a few years after he arrived in San Francisco, Norton was doing extremely well with assets estimated to be worth around $250,000 (about $6.5 million today). He had added to his collection of businesses a cigar factory, a rice mill, and an office building. But his good luck didn’t last for long. A famine in China cut off rice shipments, sending the price of rice skyrocketing from 4 to 36 cents per pound. Norton saw an opportunity to make even more money when Willy Sillem told him about a ship carrying Peruvian rice. If purchased, Norton would be able to undercut the market significantly as he could get the shipment of Peruvian rice for just 12.5 cents per pound, nearly 1/3 the going rate. Unfortunately, after putting a $2000 deposit on a ship load of rice that would cost him $25,000 in total, more and more Peruvian ships carrying rice sailed into harbor. The price of rice dropped down to 3 cents per pound, meaning Norton would not only not make a profit, but lose a significant amount of money in the process. He tried to nullify the contract on the grounds that Sillem had misled him. The incident resulted in a two and a half year court battle with the outcome in Sillem’s favour—Norton had to pay the remaining $23,000. At this point, Norton was near ruin. The bank foreclosed on several of his business and properties, he was no longer able to stay at ritzy hotels, the social elite wanted nothing more to do with him, and to top it all off, he was in court again accused of embezzling funds from a client. By 1859, the once-wealthy merchant who had it all was living in a working-class boarding house, down on his luck and seemingly incapable of any upward mobility. But that isn’t the American way. When you’re living on your last dollar and have nothing left to lose, what do you do? Declare yourself Emperor of the United States, of course. You see, Norton had long been critical of the United States government and was a fan of the British Empire. He felt like America was run on corruption, inefficiency, and self-interest, and that wasn’t just because of his own losses. In 1859, California was caught up in the great slave debate which would eventually lead to the Civil War, and San Francisco’s economy as a whole wasn’t doing great as the Gold Rush died down. Norton remarked to a friend that things would be going a lot more smoothly if he was in charge. At the pre-emptory request of a large majority of the citizens of these United States, I Joshua Norton, formerly of Algoa Bay, Cape of Good Hope, and now for the last nine years and ten months past of San Francisco, California, declare and proclaim myself the Emperor of These United States, and in virtue of the authority thereby in me vested do hereby order and direct the representatives of the different States of the Union to assemble in Musical Hall of this city, on the 1st day of February next, then and there to make such alterations in the existing laws of the Union as may ameliorate the evils under which the country is laboring, and thereby cause confidence to exist, both at home and abroad, in our stability and integrity. Settlers in the United States colonies did consider themselves to be part of a type of Empire; in San Francisco alone, there were buildings like the Empire Hotel, the Empire Brewery, and the Empire Fire Engine Company, among others. However, no one had yet been so bold to declare themselves Emperor. It would have been easy enough to fob him off as a mad man, but the San Francisco Bulletin continued to publish his demands and edicts. Norton I called for the dismantling of congress and the abolishment of the Supreme Court. He fired Virginia Governor Henry A. Wise for sending John Brown of Harper’s Ferry fame to the gallows- Norton was staunchly for equal rights for all. But he couldn’t leave Virginia without a Governor, so he replaced him with John C. Breckinridge of Kentucky, who was also known as the Vice President of the United States at the time. In 1860, the Congress of the United States convened against Emperor Norton I’s orders. In retaliation, he ordered the “Commander in Chief of the Armies… to clear the hall of congress.” The man he was addressing was General Winfield Scott who had commanded armies fifteen years before, was now 74 years old, and living in the Washington Territory rather than Washington D.C. That same year, Emperor Norton I declared the United States an absolute monarchy. In 1869, he abolished the Democratic and Republican parties. Obviously, none of Emperor Norton I’s decrees ever came to fruition, at least not because of anything Norton said (later a few of his ideas would be independently implemented). As a self-proclaimed Emperor with no armies or money to back his proclamations up, he had no real legal power to create a monarchy, fire Governors, or dismantle the Supreme Court. However, oddly enough, he did end up gaining power of a sort. Emperor Norton I quickly became a legend and was extremely popular among the people of San Francisco. Politicians were forced to humour him, because to show him disrespect was to lose votes. 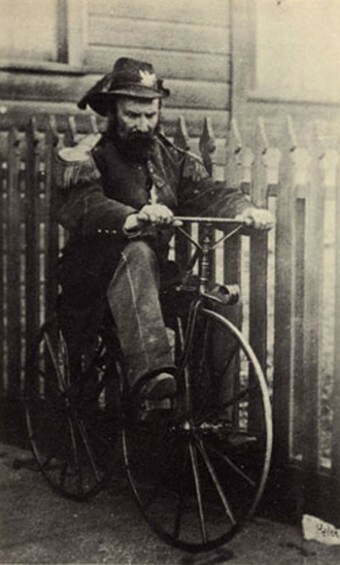 As an example of his popularity, Emperor Norton I was arrested once, but it wasn’t for conspiracy to overthrow the government or anything of the sort; rather, he was picked up for vagrancy and was later charged with lunacy. His arrest caused an outcry—newspapers immediately took to the presses to urge the public to attend the Emperor’s hearing and protest the injustice against His Imperial Majesty. It produced the desired effect: Emperor Norton I was released with a full apology, and Police Chief Patrick Crawley ordered all police officers to salute Emperor Norton I when they passed him in the streets, where he could often be found inspecting the city and socializing with his subjects. The Emperor didn’t live exactly like a king, but his new life did provide a lot of perks other than salutes from police officers and a popular name in newspaper stories. He continued to rent a room in a cheap boarding house for just 50 cents a night. His clothes were largely cast-offs from his loyal subjects, including a few old army uniforms and a hat that was given to him by a shopkeeper so that the shop could then be deemed “outfitters to His Imperial Majesty.” At a certain point, when his uniform became too worn, the city of San Francisco saw to it that he was given a brand new uniform to wear, as no Emperor of the United States should go around in shabby clothing. Besides the free clothes, he was able to ride on San Francisco’s public transportation for free, and was even given a free rail pass in the state of California. He was also given free meals in several restaurants, including very upscale establishments where he was often treated as a VIP guest, though it’s likely the restaurant owners did that for publicity rather than out of kindness. Similarly, when he wished to attend a play, an opera, or the like, he typically had little trouble acquiring a box seat for free, and he was occasionally honored at such shows. When Emperor Norton I needed a bit of extra money, he went door-to-door asking businesses for the “tax” due to him, which many fans would hand over. At other times, he simply printed his own money, which was honored by many businesses in San Francisco as if it were real currency. With the completion of the transcontinental railroad, Emperor Norton I became something of a tourist attraction. You are probably thinking, like most people at the time, that the man was insane, and that’s probably true—but he was also a business man through and through. The Emperor talked to anyone who wanted to meet him and also occasionally used some of his self-made “promissory notes” to trade with tourists in exchange for U.S. currency, with his notes to be repaid with 7% interest in 1880. Obviously, no one thought to collect, as they really just wanted the Emperor’s signature to take back with them as a souvenir. Similarly, various businesses were making significant amounts of money selling Emperor Norton I souvenirs, from post cards to dolls to cigars. They also put up signs in their windows that said “By Appointment of Emperor Norton I.” This nearly homeless man quickly became a national hero. Besides inspecting the city, dolling out various decrees, and engaging anyone who would talk to him in philosophical debates, his Imperial Majesty once managed to do the near impossible- stop a mob in their tracks. While the details of the act have likely been blown out of proportion over time, at one point a very small mob was attempting to attack a Chinese immigrant (more fanciful versions of the story have him standing between a huge crowd of rioters, barring their entry into Chinatown- doing his best impression of the future character of Gandalf against the Balrog on the Bridge of Khazad-dûm). Not to be one to let such shenanigans take place in his country, Emperor Norton I set himself between the Chinese man and the attackers. Whether it was due to his own popularity in the town or because he supposedly yelled out the Lord’s Prayer repeatedly in the attacker’s faces, the immigrant was saved and the small mob dispersed. Unfortunately, after 21 years ruling these United States and later also protecting Mexico, on a sad day in January of 1880, the Emperor suddenly fell to the sidewalk during his evening walk. He died before he could be taken to hospital. The Pacific Club of San Francisco set about raising funds for a proper high end rosewood casket, as well as to cover other funeral expenses for Norton, who died nearly penniless, having chosen to never overtax his subjects. His death was lamented throughout the land. Around 10,000 people paid their respects at his funeral, with some newspaper accounts claiming as many as 30,000 people, about 13% of the population of San Francisco at the time, lined the streets for the two mile procession to his grave site; newspapers across the country reported the death of the emperor. One newspaper, The Alta California, even dedicated 34 inches of print celebrating the life of the Emperor. On the same day it printed just 38 words from the new Governor of California’s inaugural speech. Norton I’s position was officially recognized by a U.S. census of 1870, which listed him as “Emporer”. You know what’s wrong with America today? No sense of humor. I couldn’t even jokingly change my status to “Empress of the US” on Facebook without 90,000 lawsuits and the government all up in my business. It’s just self proclamation… I’ve been telling everyone that I am King of The Moon for the past 20 years. Prove me wrong people! How does that constitute a business? I’ve known about him for quite a while. I think he’s an exceptional character from history who should not be forgotten about. Surprised to see the title of this article appended and linked to at the end of another article. Just last night, I watched an old episode of Death Valley Days about this eccentric, if not crazy (and he apparently was), man. He was an intriguing man, no doubt. I have always wanted to meet him. Perhaps we, together, him the emperor and me the sun king, can be joint rulers of the galaxy! Proves you can ool some people by saying the right things then you earn their admiration even if you are insane. People will support even an insane leader as long as they agree with his thoughts and actions. If they stop agreeing then he is dooned to ovscurity.